Shane Steven Filan  (born 5 July 1979) is an Irish singer and songwriter. He is one of the two lead singers and frontman of boy band Westlife, which was formed in 1998, disbanded in 2012, and regrouped in 2018. Westlife has since released twelve albums, embarked on twelve world tours, and won several awards, becoming one of the most successful musical groups of all time. Westlife is an Irish pop vocal group, which formed in 1998 in Dublin, disbanded in 2012 and reunited in 2018. They were originally signed by Simon Cowell in the UK, Clive Davis in the US and managed by Louis Walsh and Sonny Takhar. The group currently consists of Nicky Byrne, Kian Egan, Mark Feehily, and Shane Filan. You and Me is the debut solo album by Irish singer-songwriter Shane Filan. It was released via Capitol Records on 1 November 2013 in Ireland. The album was preceded by the release of his debut single "Everything to Me" which peaked at number 14 on the UK Singles Chart on the week of release. The album's second single, "About You", co-written by long-term collaborators Steve Mac and Wayne Hector, was released on 1 November 2013. "Knee Deep in My Heart" was released as the third and final single on 29 November 2013. The song "Baby Let's Dance" was released as promotional single on 4 October 2013. The album reached #6 in the UK. Right Here is the second studio album by Irish singer-songwriter Shane Filan. The album was released on 25 September 2015 by East West Records. The album reached #1 in Ireland. Love Always is the third solo album by Irish singer-songwriter Shane Filan, as a follow-up to Right Here (2015), through Ocean Wave Records. It was released worldwide on 25 August 2017, while in Asia on 15 September. The deluxe edition was released in 4 May 2018. The album features Filan's favorite all-time love ballads, such as the Bangles' "Eternal Flame", Bob Dylan's "Make You Feel My Love" and Bryan Adams' "Heaven", along with some fans suggestions. He also wrote three original songs, in collaboration with Paul Barry and Patrick Mascall, who were previously worked together on his debut album You and Me. Summerhill College is a Roman Catholic voluntary secondary school for boys located in the town of Sligo in northwest Ireland. Kian John Francis Kelly Egan is an Irish singer and songwriter, best known as a member of boy band Westlife. Westlife has since released twelve albums, embarked on twelve world tours, and won several awards, becoming one of the most successful musical groups of all time. He is a coach on The Voice of Ireland and won the thirteenth series of I'm a Celebrity...Get Me Out of Here! in 2013. 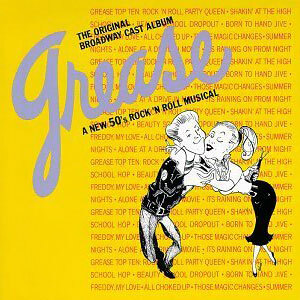 Grease is a 1971 musical by Jim Jacobs and Warren Casey. Named after the 1950s United States working-class youth subculture known as greasers, the musical is set in 1959 at fictional Rydell High School and follows ten working-class teenagers as they navigate the complexities of peer pressure, politics, personal core values, and love. The score borrows heavily from the sounds of early rock and roll. In its original production in Chicago, Grease was a raunchy, raw, aggressive, vulgar show. Subsequent productions sanitized it and toned it down. The show mentions social issues such as teenage pregnancy, peer pressure and gang violence; its themes include love, friendship, teenage rebellion, sexual exploration during adolescence, and, to some extent, class consciousness/class conflict. Jacobs described the show's basic plot as a subversion of common tropes of 1950s cinema, since the female lead, who in many 1950s films transformed the alpha male into a more sensitive and sympathetic character, is instead drawn into the man's influence and transforms into his fantasy. Before Westlife, Egan and Feehily were with Filan in a band known as Six as One and IOYOU later on with other Sligonians Derrick Lacey, Graham Keighron and Michael "Miggles" Garrett. He partly wrote the IOYOU's song "Together Girl Forever". For 6 months, Shane's mother, Mae Filan, tried to phone Louis Walsh (who is also the manager of Boyzone). Eventually, she was able to speak to him and talked about her son's band. Three of them were dropped and the other three, Shane, Kian and Mark, joined in finding two more singers for the band. Then they were joined by Nicky Byrne and Brian McFadden to form Westside. 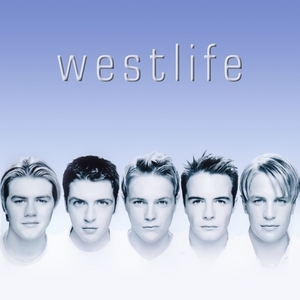 The name of the band then changed to Westlife as there were already a number of bands with the name Westside. Michael Louis Vincent Walsh is an Irish entertainment manager and former judge on British television talent show The X Factor. Westlife is the self-titled debut studio album by Irish boy band Westlife. The album was released on 1 November 1999 through RCA. The album spawned the five UK number-one hit singles "Swear It Again", "If I Let You Go", "Flying Without Wings", the double A-side "I Have a Dream"/"Seasons in the Sun", and "Fool Again". This album broke records like "Most Entries at Number 1 by a Debuting Act", "Only music act to have four number one in UK Singles Chart in only a year", "The first and only artist so far to have every single from their album reach number-one on the singles chart, "Only male group with most original songs in an album went straight to number one in UK Singles Chart with four singles", "Biggest-selling single in a week one by a debut artist", "The first pop band and boy band to hit the #1 with its first two singles", and "Biggest selling international, foreign album act in the Philippine and Indonesian music records history". In December that year, it was announced that Filan has landed with a recording contract with Universal Music Group (UMG) worth 20 million British pounds. He spent time in Nashville with some well-known pop singers to boost his solo career. On 9 April 2013, an official website for Filan was launched, with a countdown to reveal news about his solo career. On 12 April, the official website of opened with an apology for keeping the fans waiting for a long time, and an announcement from him that he has signed a record deal with London Records, which is a part of UMG. He also stated that he had spent the past 12 months in both US and UK writing songs and recording. He also announced that a forthcoming single and an album later this year. He also said that "One of the things that pleases me the most about this record is that I've been given the opportunity to write my own songs. I'm so excited for people to hear them." It was in Filan's autobiography book "My Side of Life" that it was in 2001 he got his first solo record offer from the same label Universal Music. Also the first member from the band who got that kind of offer. On 31 May, he announced that the website will be launched soon, and that he had finished the album and had been doing some shooting in Los Angeles for the video of the first single. He also stated that the first single will be released in few weeks, and he would be doing some radio work and some small gigs to promote his album. On 14 May, Shane revealed that the first single will be out on August. On 4 July, Filan revealed the title of his first single was "Everything to Me", and the resulting EP has three other songs "Everytime", "Today's Not Yesterday" and "Once". The release date was also announced as 25 August. On 10 September 2013, Filan released About You, the second single from his album You and Me. Shane released his latest CD You and Me in November 2013 and had scheduled a UK tour in 2014. Along with this is a live performance in the grand finals night of The X Factor UK with Nicholas McDonald. The album also features a collaboration with Girls Aloud member Nadine Coyle on the song "I Could Be". It was released as a promotional single. On 8 May 2017, Filan released his version of "This I Promise You", one of the tracks from his third album Love Always through his YouTube account,  and announced his next tour, Love Always Tour 2017. He later released an official music video for the said song in some parts of Europe. On 28 June, he announced that his third album would be released on 25 August 2017, which features of some of his favourite love ballads such as "Beautiful in White", The Bangles' "Eternal Flame", Bob Dylan's "Make You Feel My Love", Lady Antebellum's "Need You Now" and Bryan Adams' "Heaven". The next day, he released "Heaven" as a promotional single and announced through his Twitter account that "Unbreakable" would be the first single accompanied with a music video. Back in the week beginning 26 April 2010, an unreleased solo song by Filan called "Beautiful in White" leaked on the Internet, but it was incorrectly credited as being recorded by Shayne Ward instead of Filan. During this time, Filan also did a duet with Irish country singer Nathan Carter. The album reached #5 in the UK Album Charts making it his highest charting album in the United Kingdom, therefore making him the most successful Westlife member as a solo artist in the charts to date. In October 2018, a video was posted to Westlife's official social media platforms announcing the group's reunion as a four-piece. In 2019, the group will be headlining "The 20 Tour", named in honour of Westlife's 20th anniversary since its formation and the release of its first single, "Swear It Again", in 1999. In addition to touring, Westlife will also be releasing new music. "Hello My Love", the first single from the group's album, debuted on the Graham Norton Show on 11 January 2019. "Hello My Love" will perform on the"National Television Awards" on 22 January 2019. Filan married his childhood sweetheart, Gillian Walsh on 28 December 2003 at Ballintubber Abbey, followed by a reception at Ashford Castle, Ireland. Gillian is the cousin of fellow band member Kian Egan, making Filan and Egan cousins-in-law. They have three children: daughter Nicole Rose (born on 23 July 2005 in Sligo, Ireland) and sons Patrick Michael, (born on 15 September 2008 in Sligo, Ireland) and Shane Peter (born 22 January 2010), named after his father. "Just the Way You Love Me"
"Don't Say It's Too Late"
"Never Knew I Was Losing You"
"Miss You When I'm Dreaming"
"Too Hard to Say Goodbye"
"Last Mile of the Way"
^1 – Songs were found to be Filan's co-written songs. No other details whether it's for Westlife or not. Markus Michael Patrick Verdon Feehily is an Irish singer and songwriter. He is one of the lead singers of the boy band Westlife. He is the youngest in the band. Westlife has since released twelve albums, embarked on twelve world tours, and won several awards, becoming one of the most successful musical groups of all time. With 15 number one appearances, he is also the highest charting LGBT performer and Irish LGBT performer on the UK Singles Chart. "World of Our Own" is a song by Irish boy band Westlife. It was released on 18 February 2002 as the second single from their third studio album of the same name (2001). The song peaked at number one on the UK Singles Chart, becoming their 10th number one single - making them a part of a small group of artists in British chart history to achieve this feat. The song's popularity peaked when it was featured in the children's feature film, You Wish!. "If I Let You Go" is a song by Irish boy band Westlife. It was released in the United Kingdom on 9 August 1999, as the second single from their self-titled debut album. It became the second of the band's fourteen UK number 1 hit singles, spending eleven weeks on charts. The song has received a Silver sales certification in the UK for selling over 315,000 copies so far. It was composed in the traditional verse–chorus form in Bb major, with McFadden, Filan and Feehily's vocal ranging from the chords of D4 to A5. It is the band's eighth most streamed song, tenth best selling single in paid-for sales category and in combined sales category in the United Kingdom as of January 2019. While it is their sixth most streamed song of all time from their home country, the Republic of Ireland as of 2 April 2019. "Fool Again" is a song by Irish boy band Westlife. It was released on 27 March 2000 as the fifth and last single from their self-titled debut album (1999). It became the band's fifth consecutive UK number one single and spent 12 weeks on charts. It sold over 215,000 copies in UK so far. The song debuted and peaked at number two in the band's native Ireland, making it the first Westlife song not to reach the top of the Irish chart. Irish pop vocal group Westlife has released ten studio albums, two extended plays, one live album, three box sets, thirty-four singles, fifteen promotional singles, nine compilation albums and forty-five music videos. Formed on 3 July 1998, the group was made up of singers Nicky Byrne, Kian Egan, Mark Feehily, Shane Filan, and Brian McFadden who quit the band on 9 March 2004. The band was signed under BMG, S Records, Arista Records, Sony BMG, Syco Music, Sony Music Entertainment and RCA Records from 1998-2012 and currently on Universal Music Group and Virgin EMI Records. The last four members remained active until their last live concert performance in the Europe's third largest stadium Croke Park on 23 June 2012 and have reunited on 3 October 2018 for new music and tour. Based on the British Phonographic Industry certifications, the group have sold 20.2 million records and videos in the United Kingdom alone across their 14-year career–6.8 million singles, 11.9 million albums and 1.5 million videos. Their biggest selling album is their first Greatest hits compilation, followed by Coast to Coast, with six of their albums selling one million copies or more. Their biggest selling video is "Where Dreams Come True", which has sold 240,000 copies to date. The band was viewed with total of over a billion views in YouTube counting only the ones uploaded from their official site alone, were streamed more than 300 million times, and more than 550 million times in Spotify. "My Love" is a song by Irish boy band Westlife. It was released on 31 October 2000 as the second single from their second studio album, Coast to Coast. It debuted at number one on the UK Singles Chart, giving the band their seventh UK number one. The song was the 35th best-selling single of 2000 in the UK. It also won The Record of the Year. It has sold 300,000 copies in the UK. "When You're Looking Like That" is a song by Irish boy band Westlife from their second studio album, Coast to Coast (2000). It was released on 19 September 2001 as the sixth and final single from the album in Australia, Asia, Latin America, and—most notably—Europe. "What Makes a Man" is a song by Irish boy band Westlife. It was released on 18 December 2000 as the third single from their second studio album, Coast to Coast. The song peaked at number two on the UK Singles Chart and was their first single not to peak at number one on the chart, being beaten to the Christmas number one by "Can We Fix It? ", the theme to the cartoon series, Bob the Builder. It also debuted and peaked at number two in Ireland, held off the top spot by Eminem's song "Stan". Where We Are Tour: Live from the O2 is a concert DVD by Irish boy band Westlife from their Where We Are Tour. "Everything to Me (ETM)" is the debut single by Irish singer-songwriter Shane Filan, released as the lead single from his debut studio album You and Me (2013). The single was released on 23 August 2013 in Ireland and 25 August 2013 worldwide. The single together with his other song "One of These Days" off the album were also featured in the soundtrack album of a British computer-animated comedy film Postman Pat: The Movie and released in UK radio stations afterwards. "Beautiful in White" is a song recorded by Irish singer-songwriter Shane Filan from his third studio album, Love Always (2017). The track was originally written by Savan Kotecha and Arnþór Birgisson for a then-upcoming album of Filan's band, Westlife. After it was rejected, Filan's 2006 demo of the track surfaced online in 2010 and gained much success in Asia where it was a popular wedding song. The singer eventually acknowledged the song's popularity four years later, and in 2017, he re-recorded the song for Love Always. In addition to including it on the Love Always Tour (2017–18) setlist, Filan also performed "Beautiful in White" on two television series, Rising Star Indonesia and Immortal Songs: Singing the Legend. Its music video was later released in July 2018. "Hello My Love" is a song by Irish pop vocal band Westlife. It was released on 10 January 2019 as the lead single from the band's eleventh studio album, Spectrum, and is their first single to be released under Universal Music Group and Virgin EMI Records. It is also their first official single in eight years since the release of their last single, "Lighthouse", in 2011. The song is written by Ed Sheeran and Steve Mac. Mac had written the band's number-one hits like "World of Our Own" and "Flying Without Wings", while this being the first song released by the band written by Sheeran. It reached number-two in Ireland and Scotland, it is their highest charting on their official singles charts since the band's "What About Now" single in 2009, ten years ago. The single stayed at number-one for two weeks in the UK Physical Chart, the group's highest charting since their 2006 single, "The Rose". ↑ "After the high life: how Filan's finances went west". The Irish Times. 16 June 2012. Retrieved 13 November 2018. ↑ "Westlife". OCC. Retrieved 7 October 2018. ↑ "'Bridge Over Troubled Water' Returns To No. 1 In The U.K. As A Charity Cover". Forbes. Retrieved 30 October 2018. ↑ "Shane Filan I Biography & History". AllMusic. Retrieved 17 October 2017. ↑ "Shane Filan – Biography". IMDb. Retrieved 17 October 2017. ↑ Filan, Shane (2014). My Side of Life: The Autobiography. Random House. p. 1. ISBN 9780753551011 . Retrieved 17 October 2017. ↑ "Last bite for Sligos first hamburger shop as Peter and Mai call it a day". Independent.ie. 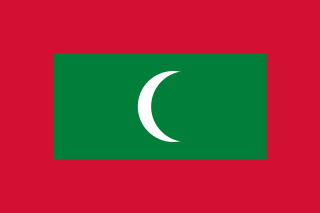 10 April 2002. Retrieved 17 October 2017. ↑ "Westlife's Shane: I was a Jacko nut". Virgin Media: music news. 30 October 2009. Archived from the original on 11 November 2009. Retrieved 5 November 2009. ↑ "Dublin Events". Visit Dublin. Archived from the original on 25 December 2014. Retrieved 7 August 2013. ↑ "My Side of Life". Google Books. ↑ "I wouldn't have gone solo if I had money: Westlife's Shane Filan opens up". Daily Star. ↑ "Westlife's Shane Filan: 'My most memorable travel experience? When Sir Paul McCartney sang to me in the Maldives'". The Telegraph. ↑ "Westlife's Shane Filan close to a solo deal – Clickonline.com – Get Movies, Games, Tech and Entertainment – News, Reviews, Previews and Interviews". Clickonline.com. 16 December 2011. Archived from the original on 22 August 2014. Retrieved 24 May 2012. ↑ "Westlife's Shane Filan wants to be the new Michael Bublé". heatworld.com. Archived from the original on 10 January 2012. Retrieved 24 May 2012. ↑ Horoscopes. "Shane joins festival fans as he faces final hurdle in his first solo record deal – Around Town, Entertainment". Herald.ie. Retrieved 24 May 2012. ↑ "OK! Magazine: First For Celebrity News :: Latest Celebrity News :: Shane Filan bounces back from bankruptcy with new record deal". Ok.co.uk. 19 April 2013. Retrieved 7 August 2013. ↑ "Twitter / Search – #albumtaster". Twitter.com. Retrieved 7 August 2013. ↑ "Filan Friday: From the Studio". YouTube. Retrieved 7 August 2013. ↑ "Instagram". Instagram. Retrieved 7 August 2013. ↑ "Filan Friday | Shane Filan Official". Shanefilan.com. 31 May 2013. Archived from the original on 12 June 2013. Retrieved 7 August 2013. ↑ "Shane Filan Official". Shanefilan.com. Retrieved 7 August 2013. ↑ "Shane Filan admits nerves ahead of first solo performance on Rose of Tralee". Irish Independent. 20 August 2013. Retrieved 21 August 2013. ↑ "Shane Filan Philippine Promo Tour". ↑ "Listen to "About You"". shanefilan.com. 10 September 2013. Archived from the original on 21 September 2013. Retrieved 14 September 2013. ↑ "Exclusive: Westlife's Shane Filan has a new album and you can watch the video here first". Digital Spy. ↑ "Shane Filan flies to the top of Irish charts". rte.ie. ↑ "Shane Filan – This I Promise You (audio track) – YouTube". ↑ @ShaneFilan (8 May 2017). "So excited to announce #LoveAlways Tour 2017. Pre sale tickets available tomorrow. General onsale Friday 12th May" (Tweet) – via Twitter. ↑ "Shane Filan announces new album". List. 28 June 2017. Retrieved 27 July 2017. ↑ "Shane Filan signs to Absolute for new solo album". Music Week . 5 July 2017. Retrieved 31 July 2017. ↑ @ShaneFilan (29 June 2017). "Hi guys. Ive decided to give you "heaven" when you preorder the album, as its my favourite. Unbreakable the first single will follow soon" (Tweet) – via Twitter. ↑ "Shane Filan Stars in a Korean Show!! He Sings "Beautiful in White" Live! [Immortal Songs Ep 354]". KOKOWA TV. Retrieved 29 May 2018. ↑ Ismail, Zaidi Isham; Nokman, Farhana Syed (2 February 2018). "Heirs of Berjaya Group, Naza Group marry in Bukit Tinggi ceremony". New Straits Times. Retrieved 9 July 2018. ↑ "Shane & Paula Marry in Mayo..." ShowBiz Ireland. 29 December 2003. Retrieved 5 October 2008. ↑ "Kian Tried To Stop Cousin From Dating Westlife Bandmate - popdirt.com". popdirt.com. ↑ "Westlife singer Shane Filan's company in receivership". Bbc.co.uk. Retrieved 3 May 2012. ↑ "Westlife singer Shane Filan is declared bankrupt". Bbc.co.uk. Retrieved 14 June 2012. 1 2 "Discography Shane Filan". irish-charts.com. 1 2 "Shane Filan > UK Charts". Official Charts Company . Retrieved 14 April 2019. For You and Me: "Chart Archive > 10 November 2013 – 16 November 2013". Official Charts Company. ↑ "Shane Filan — "Right Here"". iTunes Store . Retrieved 22 August 2015. For "Everything to Me": "Chart Archive > 01 September 2013 – 07 September 2013". Official Charts Company. For "About You": "Chart Archive > 10 November 2013 – 16 November 2013". Official Charts Company. For "Knee Deep in My Heart": "Chart Archive > 26 January 2014 – 01 February 2014". Official Charts Company. ↑ "Everything To Me – EP by Shane Filan on Apple Music". 1 January 2013. ↑ Me and the Moon (single). Shane Filan. East West Records. 2015. ↑ "Shane Filan announces second solo album – watch the video for new single 'Me and the Moon' now". Independent.ie. Retrieved 22 August 2015. ↑ "When I Grow Up (feat. Shane Filan & Grace Lee) – Single by The Association of Irish Musical Societies on Apple Music". 27 November 2015. ↑ "BMI – Repertoire Search". repertoire.bmi.com. ↑ "Songs by Writer :: SESAC". www.sesac.com. ↑ "Sei Parte Ormai Di Me Lyrics". Rhapsody. Archived from the original on 30 November 2007. Retrieved 22 April 2018.